Magadh Sugar, Avadh Sugar, Dalmia Bharat Sugar, Balrampur Chini and Dwarikesh Sugar, Triveni Engineering & Industries were up in the range of 30 to 46 per cent during past one month. Shares of sugar companies such as Uttam Sugar Mills, DCM Shriram Industries, Dalmia Bharat Sugar and Industries, Avadh Sugar & Energy, Dwarikesh Sugar Industries, Mawana Sugars and Ugar Sugar Works rallied up to 16 per cent on Thursday in the intra-day trade on the back of positive development in the sector. In comparison, the S&P BSE Sensex was up 0.20 per cent at 35,977 levels at 02:51 pm. The hike, though, would be applicable to only the seven-and-a-half months remaining in sugar season (SS) 2019, which extends from October to September. Given this, the rating agency CRISIL estimates the rise in domestic sugar prices to add Rs 3,200-3,400 crore to millers’ cash-flows. An increase in international sugar prices would add further Rs 100-200 crore, taking the total fillip this season to Rs 3,400-3,600 crore. Even standalone mills are expected to break even in SS 2019, given the pick-up in sugar prices. According to rating agency Ebitda earnings before interest, taxation, depreciation and ammortisation) margins expected to improve by 200-300 basis points for mills in the north and by 300-400 basis points (bps) for those in the south, given that cost of cane is lower in the south. However, stagnant cane costs and higher sugar prices would enable mills in the north to make higher margins compared with their southern peers. With the expected increase in profitability and cash generation, liquidity and debt metrics of millers are likely to improve in fiscal 2020. 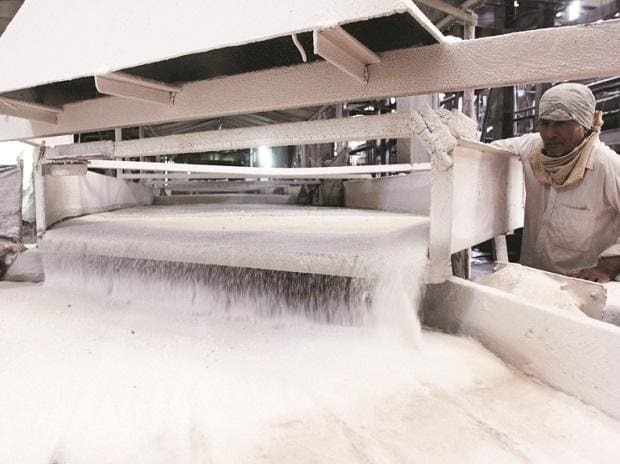 For instance, the debt-to-EBITDA ratio of CRISIL-rated sugar mills is expected to marginally improve to about 4-4.5 times in fiscal 2020 compared with the estimate of around 5 times for fiscal 2019, it added. In the past one month, Uttam Sugar Mills (up 72 per cent) and Dhampur Sugar Mills (up 52 per cent) have rallied more than 50 per cent each on the BSE. Magadh Sugar, Avadh Sugar & Energy, Dalmia Bharat Sugar and Industries, Balrampur Chini Mills and Dwarikesh Sugar Industries, Triveni Engineering & Industries were up in the range of 30 to 46 per cent. In comparison, the benchmark S&P BSE Sensex was up 1 per cent during the same period.